Come play with our Happy and Fun Dinosaurs! 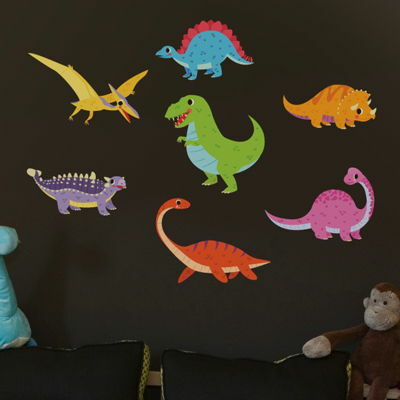 Our Printed Decals are easy to apply and are ideal for any smooth and flat surface! 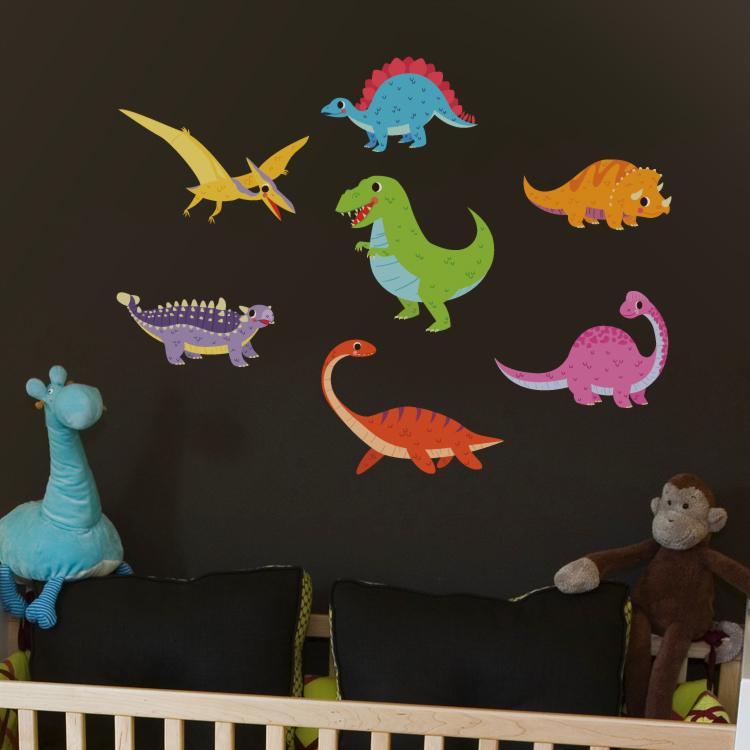 If your walls have any texture, we recommend purchasing a Printed Test Decal Sample Pack first. Sizes range from approximately 9-11.5 inches wide to 4-10 inches high. Adjustments may be available for an additional fee, just contact us! Decals come individually for easy application! I just hung the monogram that I ordered... LOVE LOVE LOVE it! Super easy to install and looks amazing!!! While my purchase is not recent, I have had Dali Decals on my car for over 3 years now and they look as good as the day I bought them! No fading or peeling and compliments daily from passerby. I plan on getting a new car soon and will be "enhancing" its image with Dali Decals! !